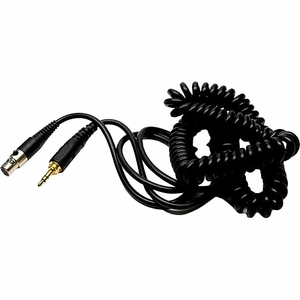 The HDJ-CA01 Replacement Cord for HDJ-2000 from Pioneer makes it easy to replace the cord on your HDJ-2000 headphones. The cord has a coiled design that provides a variable amount of slack and reduces tangles. It has a locking mini XLR connector that attaches to the headphones, and a gold-plated 3.5mm stereo mini plug for compatibility with MP3 players, CD players, laptops, and much more.